For anyone familiar with Caïna's discography – particularly eclectic and ambitious albums like 2007's Mourner and 2008's Temporary Antennae – it's evident that the one-man band formed by multi-instrumentalist Andrew Curtis-Brignell has played a part in paving the way for up-and-coming British black metal acts who take an experimental approach, eschewing the stylistic rigidity of black metal's second wave. But for some bizarre reason when folks discuss the recent upsurge in UKBM – spearheaded by bands like Winterfylleth, Wodensthrone, Voices, Fen, A Forest Of Stars and Towers Of Flesh – no credit is given to Caïna, who, despite a short period of inactivity, have been one of the most interesting black metal acts in Britain for years. Curtis-Brignell, a student of Satanic theology, has approached his music with meticulous intent over the past decade, cohesively drawing from a deep knowledge of distinct genres including post-punk, post-rock, ambient, folk, drone, shoegaze, and of course, black metal. He's also one of the more eloquent lyricists in the game; avoiding the usual blunt/boring Christ-bashing in favour of introspective and evocative imagery. For Caïna's sixth full-length studio album, Setter of Unseen Snares, Curtis-Brignell turns his focus to creating a concept album, one that concludes in just over a half an hour (this is no two-hour prog extravaganza). Telling the tale of the last family on earth and their attempts to escape the apocalyptic force of an oncoming asteroid, the narrative arc may take some cues from Cormac McCarthy's desolate literary style or even Lars Von Trier's 2011 film Melancholia. But regardless of where Curtis-Brignell has found inspiration (the lyrics were unavailable at the time of writing this piece), its particular thematic grounding has given the music defined purpose. The main impression you get from Setter Of Unseen Snares is how confident Curtis-Brignell appears as a songwriter. In the past it took the young musician – who was barely out of his teens when he started Caïna – over an hour's worth of music to convey his ideas fully to varying degrees of success. Now we see him cut compositions to the bare essence so that each song serves their purpose in conjunction with the narrative, and yet he still retains his experimental streak, incorporating the outlier influences beyond treble-heavy tremolo riffs and incessant blast beats. Over time we've become numb to the countless throwaway instrumentals that metal bands use to set the mood of their albums; usually it's two minutes of either faux-epic string arrangements or barely audible ambience. 'Introduction', though quite minimal itself, serves its role in setting the scene for this album. And it's either cheesy or a stroke of genius to include a sample from praised series True Detective – specifically Rustin Cohle's (Matthew McConaughey) soliloquy on the annihilation of humanity, used here as a book-end and interspersed with Cascadian black metal riffs and monastic moans as we walk "hand in hand into extinction". 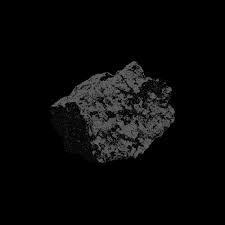 What's noticeable since Caïna released 2013's foray into electronic experimentalism and Nick Cave infatuation, Litanies Of Abjection, is that the band have become much more vehement; the Earth Inferno EP of the same year being a case in point. Second song 'I Am The Flail Of The Lord' sears: the stark, often detached guitars and stuttering drum beats accent the dry production while the raspy vocals hit the kind of memorable hooks that Nachtmystium used to write. Though the totems of Burzum and Darkthrone are found throughout Caïna's music, there has always been a definite USBM streak to Curtis-Brignell's interpretation of black metal. 'Applicant Supplicant', for a timely example, sounds like Xasthur gone post-punk (Nachtmystium's Addicts: Black Meddle Pt. II is also a strong point of reference); the woozy riffs give way to shouted vocal refrains that are as catchy as the music beneath. In contrast, the title track is much more disorientating and harsh, as atonal riffs and dead-eyed screams blur the lines between black and death metal while maintaining some semblance of subtlety and restraint. Both of those qualities have been important facets of Caïna's music since the band's crude beginnings. Curtis-Brignell has grown increasingly aware of how dynamics work and he often incorporates additional textures that are not as perceptible on first listen as the blasting sections and typical black metal riffs or the post-rock/post-punk motifs that emerge – sometimes even within the one song (See: 'Vowbound'). Sure, some may argue that Setter Of Unseen Snares shouldn't be classified as a "full-length" at all, due to its short run-time, and without an appreciation of how important cohesion is to this concept-driven album, such opinion could hold merit. But as mentioned above, the compact song structures make complete sense when you consider this album in its entirety. Even album highlight 'Orphan' – an engrossing closing piece that also stands as one of the highlights of Caïna's career thus far – is tautly constructed despite it spanning nearly half of the record and beginning with layers of ambient drone that last a number of minutes. For 'Orphan', Curtis-Brignell is joined by vocalists Laurence Taylor and Vice Martyr (Taylor has since joined Caïna as a full-time member), and the music Caïna have written for this track is certainly dramatic enough to be the ending to the cataclysmic concept that runs in tandem with it (the drama will presumably be increased when the lyrics become available). The extended drone lulls the listener into a false comfort before an impressive goth rock via doom metal passage appears, replete with clean vocals that sound not unlike a less bombastic Alan Averill if he modelled himself on Robert Smith instead of Bruce Dickinson. From here, the guitars escalate to carry the emotion of the music as the song builds and it goes through a series of post-rock crescendos and plateaus, finally resolving itself in Envy-like catharsis. 'Orphan' is a master class in smoothing the joins of each transition to affix subgenres together seamlessly, and for that alone Setter Of Unseen Snares is laudable. But more importantly, a song like 'Orphan' stands as another example of why Caïna are worthy of being talked about in the same esteem as the bands (Cradle Of Filth, Akercocke, and Anaal Nathrakh) championed for leading the way for the current crop of developing UKBM artists.